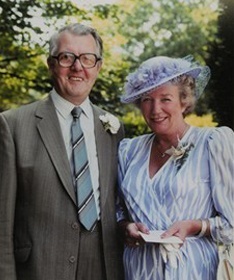 Thornley Leisure Parks was founded by William (Bill) Sutcliffe Thornley and his wife Dorothy in 1962. The couple, originally bakers from Cheshire, had holidayed in North Wales for many years and when the opportunity to establish a bakery in Conwy came their way, they decided to relocate with their twin boys to the area they had grown so fond of. Bill and Dorothy soon decided that they wanted to make their hobby their business and leave the long hours and early mornings of the bakery business behind. They purchased Craiglwyd Hall in 1961 and never looked back. Since those early days, the business has grown and grown to establish itself as one of the largest family-run businesses in the industry. Thornley Leisure Parks now owns and operates eight caravan parks, six in North Wales, one in Cheshire and North Yorkshire and now David Thornley (Bill and Dorothy’s son) along with his two children, David Jr and Libby, continue the legacy of delivering high standards of customer service and attention to detail that the late Bill and Dorothy Thornley initiated over 55 years ago. The next park to join the family was Lakeside, situated in Winsford, Cheshire. Lakeside continues to welcome holidaymakers today, with its glorious lake the main focal point, of course! In 1972, the family purchased Maenan Abbey Caravan Park, located in Llanwrst in North Wales. The second Wales-based caravan park on the roster, Maenan Abbey's secluded setting continues to amaze visitors. Later in the seventies saw the purchase of Ocean Heights Caravan Park. This Pwllheli-based holiday park is a popular base for exploring the wonders of Wales. In 1981 the family purchased Cheshire Broads to merge with the existing caravan Lakeside Caravan Park. This exciting expansion meant that Lakeside could welcome even more holiday home owners! The fifth addition to the Thornley Leisure Parks Group. The Beach Caravan Park based in Llanddulas, North Wales benefits from uninterrupted breathtaking sea views. The Dinlle Caravan Park was purchased by the Thornley Family in 1989. Located on the beautiful west coast of North Wales near Caernarfon, Dinlle. A stone's throw from the idyllic coastal town of Abersoch, the Green Pastures Caravan Park was purchased in 1999. It was and still is, the perfect getaway to ' The Welsh Riviera'. Thornley Leisure Parks purchased their head office in 2003. The Raymond Court office is based in Colwyn Bay. In 2014, the Thornley Leisure Parks Information Centre opened. Located on Conwy High Street, this information centre aimed to help potential holiday homeowners find the right park and holiday home for them. Gallaber Caravan Park is the latest park to be added to the group (so far!). In 2015, the Yorkshire-based caravan park expanded Thornley Leisure Parks' locations and offers something a little different. Valley View is the latest park to be added to the group (so far!). Located in Mid Wales.